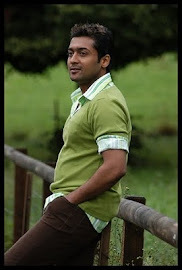 Surya's Mounam Pesiyadhe, which released way back in 2002, has been dubbed into Telugu, as Kanchu. The Telugu version of Mounam Pesiyadhe was released yesterday(29/03/2013). Mounam Pesiyadhe had a good following in Tamil Nadu as it was a love story with a difference. Ameer Sultan made his directorial debut with this film and artists like Trisha and Nandha too were introduced in Kollywood, through the film. The film had music by Yuvan Shankar Raja's and the songs went on to become chartbusters. Now we have to see how the Telugu version casts magic at the Box Office as well.